Come visit us in California wine country! 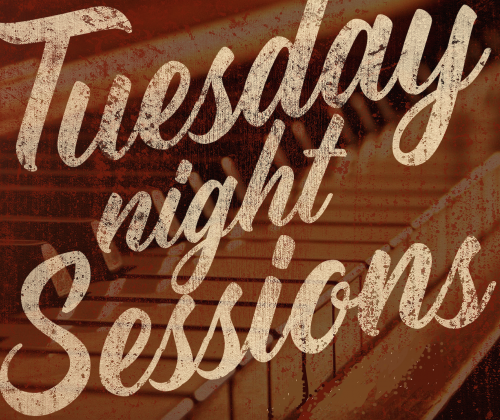 Tuesday Night Sessions is a live music jam session every Tuesday at the Spicy Vines tasting room. Are you a musician? Come play. Do you love live music? Come hang! No reservations required. French Oak Gypsy Band gives a fresh spin on French and American Swing Era classics. 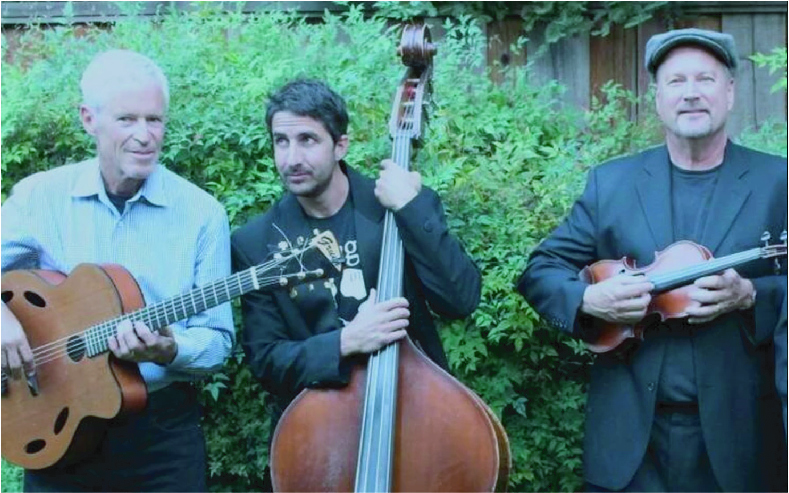 With repertoire derived greatly from French Chanson, Gypsy Jazz, Dixieland Jazz, they also play with Traditional World Folk music, and Modern tunes from around the world. 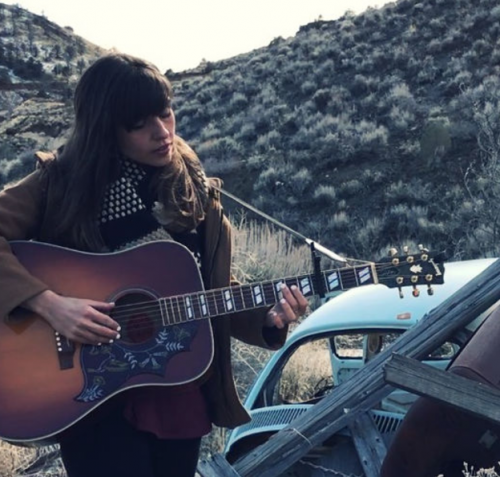 North Bay Native and vocalist, Stella Heath, and French/American guitar player, Gabriel Pirard, lead this group of gypsies in their undeniable fun performances. Reed player, James Inciardi, rounds out the group. With their French-inspired sound, spotlighting Heath’s magnetic vocals and the band’s tight rhythms they'll transport you straight into the bygone era of swing . Please try to take this time to reserve a comfy seat on Open Table. 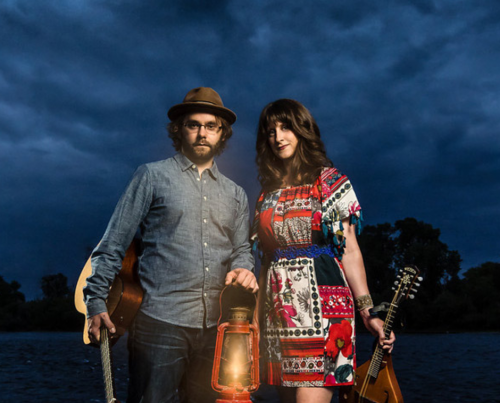 Misner & Smith - Soaring vocal harmonies and story-filled, poetic songwriting - Misner & Smith's sound harkens back to the bedrock of modern american rock & folk. Paying tribute to strong influences like Simon & Garfunkel, The Band, and Buffalo Springfield, they invent a sound all their own, seducing listeners with music that captures longing and belonging in the same moment. Their partnership in music is a search for meaning. The songs yearn for connection, ache for understanding, relish in mystery, and rejoice in creation. In a world that often feels to be crumbling down around us, they dig deep, and find hope in simple things, in the beauty that surrounds us all. Club Members, you are invited to join us for this decadent amuse bouche pairing while you pick up your May wine club shipment! Michelle Lambert is the kind of electric performer whose deep talent reveals itself in sly, knowing bursts. 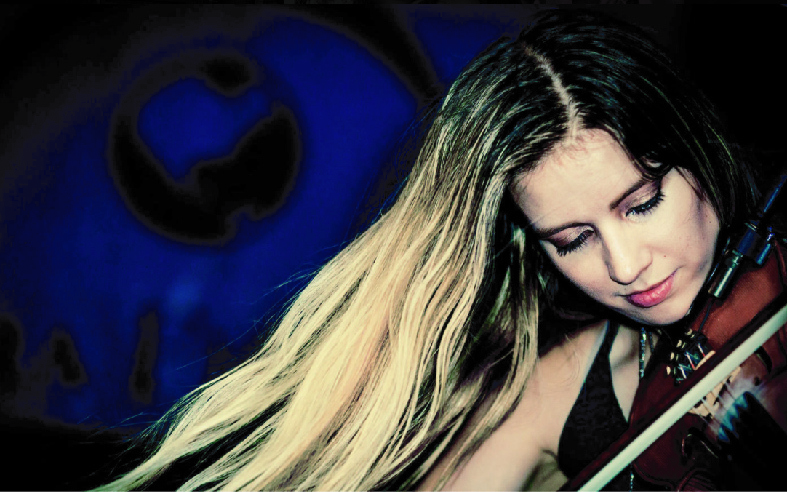 Whether it’s goosing the expectation of a breezy pop-country tune with a confident hip-hop-flavored flow, an aching desire slipping out from between the lyrics of a ballad, or the way Michelle dominates every inch of the stage before wielding her violin in classic rock goddess mode. Michelle Lambert is a genre-defying 21st century talent with a lot on her mind! On stage she is backed by a slamming rhythm-driving acoustic guitar, heavily influenced by Ed Sheeran. 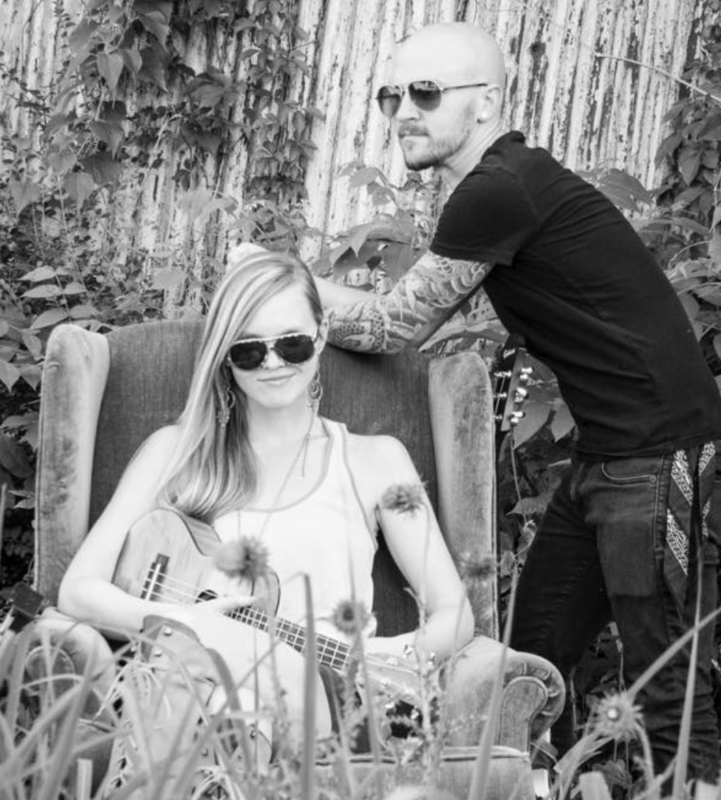 Together, Michelle and her guitarist, create an edgy, acoustic driven sound that is fresh and energetic. 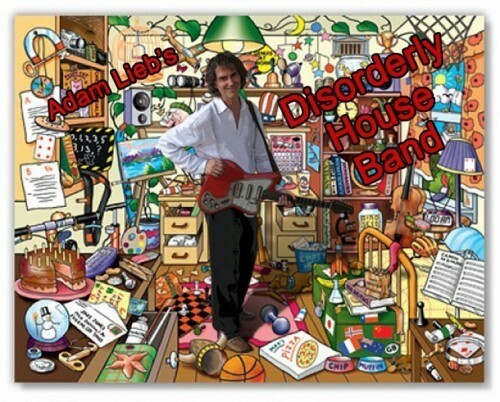 What can we say, these guys are the true Spicy Vines' "disorderly" house band featuring Adam Lieb and friends. This is a must make show, as these guys always BRING IT! Watch their Spicy Vines performance of "Popcorn" from their September 2017 show. Like what you hear? You should take a look at Adam's Facebook page and give him a like! 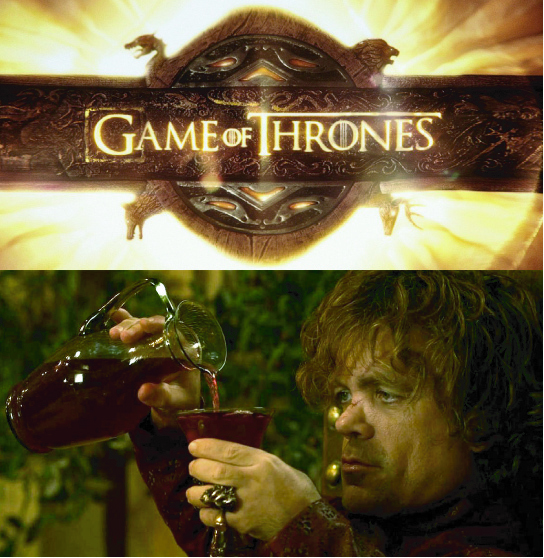 If you are a GOT fanatic (like we are) , love Spicy Vines wines (ahem, duh), enjoy gourmet food, live music and costuming (heck, yes!) ... then this is the perfect event for you. Please join us for an authentic medieval dinner prepared by our friends over at Sporgy, a live music ensemble by Adam Lieb & friends and private screening of the season 8 finale of Game of Thrones in the Spicy Vines tasting room. This is one of our funnest events of the year and one not to miss or forget. All guests are required to come in costume as a GOT character of choice. Only 30 seats available. Check out the menu and RSVP here! Matt Jaffe is a singer/songwriter from San Francisco. A rising young talent, Jerry Harrison of Talking Heads took interest in him offering to produce his first record. 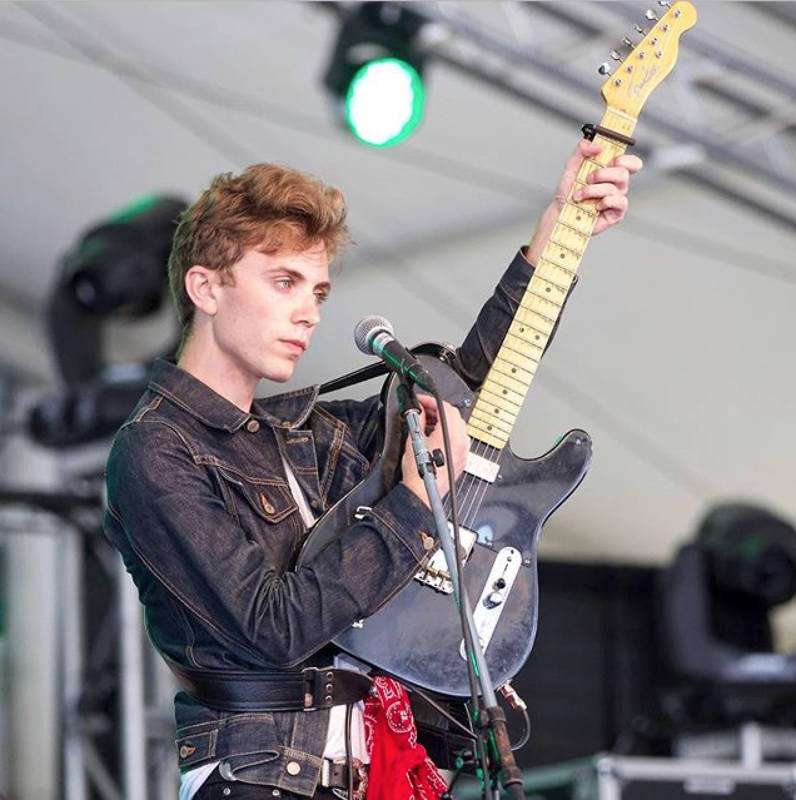 He's opened for the likes of Mavis Staples, Wilco, and Blues Traveler and has collaborated with the likes of Chuck Prophit and Tom Higgenson of the Plain White T's. Having toured the country playing in places like The Fillmore and your local hipster's basement, Matt is back in the studio with his band, readying his third record and preparing to bring the guitar gospel back to the masses. The Beat Meters play their own funky pop/jazz originals and a smattering of interestingly re-arranged rock, pop, jazz, and blues standards. 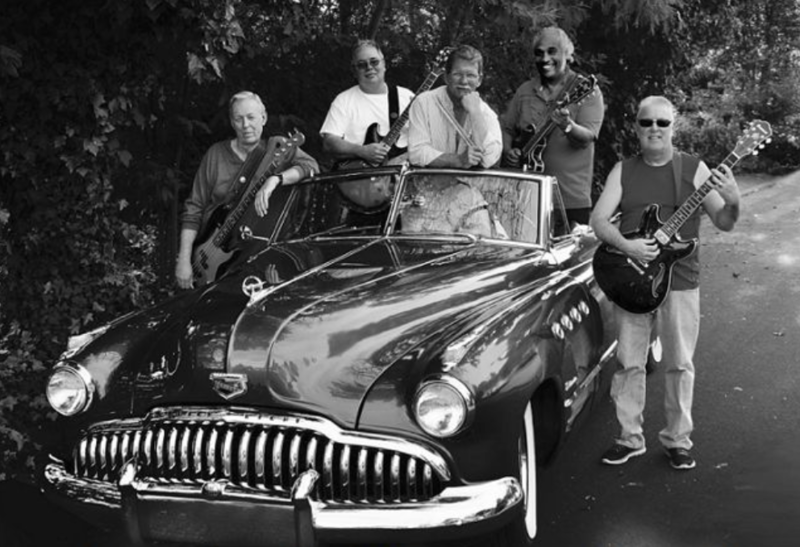 The personnel includes Joe Kaline on lead vocals, rhythm guitar, and saxophone, Tim Campbell on keyboards, Kevin Galloway on sax, John Christensen on trumpet, Kevin Coleman on drums, Eric Goodwill on bass, Judy Rodrigues on percussion. Christopher Louis Lods presents, “STRATUS” a four piece sonic band featuring drums, electric guitars and bass. We create beautiful melodies and on the spot atmospheric exploration. Playing at a listenable volume, “STRATUS” provides an experience of goosebumps and smiles. 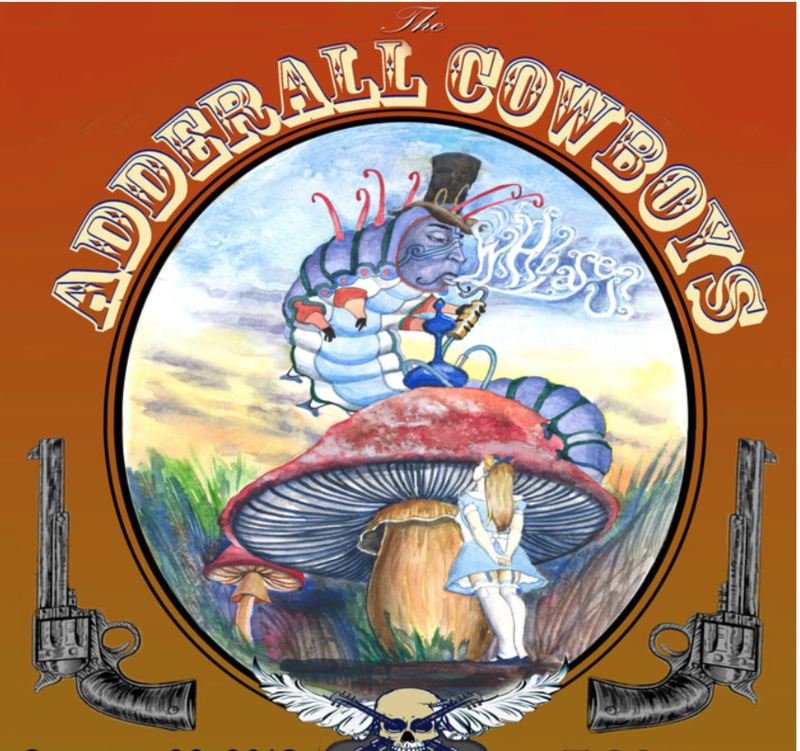 Please welcome The Adderall Cowboys this evening at Spicy Vines. Founder, Tim Miller spent the summers growing up fishing the rivers of Montana, and you can hear it in his music. His lyrics are candid and sincere, evoking imagery that tell his stories of soul searching, regret, and heartbreak. Tim has been writing, recording, and performing for quite some time. Tour highlights include an invitation to perform at SXSW in 2014, Belgium and the Netherlands in 2015, plus sharing the stage with Lucas Nelson & the Promise of the Real, Jackie Green,The Lone Bellow, & The Kin. Tim joined forces with American Idol finalist Wolf Hamlin in 2012 and helped form Hamlin’s backing band, The Front Porch Drifters. Tim co-wrote many tracks with Wolf, played guitar on two albums, Wolf Hamlin & The Front Porch Drifters (2014) and Hell On Wheels (2017), and performed with the band throughout much of the US and Europe. 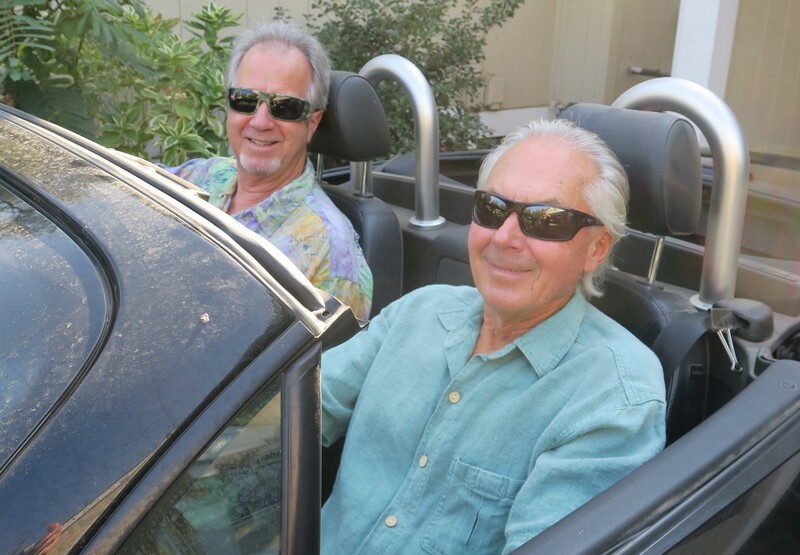 Two Big musical duo is comprised of John Heide and Tom Padrick, two long time friends and founding members of the rock/boogie funk band Uncle Wiggly. Their blend of vocal harmonies and guitar riffs deliver fresh arrangements of blues, rock and folk tunes with a touch of jamgrass. You Knew Me When, a husband-and-wife duo - Cie and Karisa Hoover pursue an indie-rock sound marked by compelling lead and harmony vocals, driving rhythms and colorful flourishes. At times, the Nashville, Tenn. pair sounds like a darker, more electrified version of Over the Rhine; at others, it takes an approach reminiscent of the sort of pop songs Aimee Mann writes. 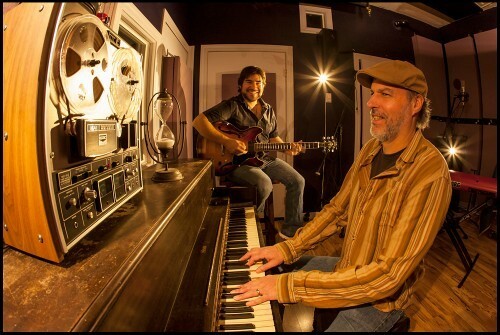 PA Furnace is a duo featuring Jeff Miller on electric guitar, acoustic guitar and vocals and Phil Ferlino on keyboard, acoustic guitar and vocals. Best known in jam-band New Monsoon, Jeff and Phil formed PA Furnace to perform 'singer/songwriter' material that maintains the improvisational 'jam' element that they are known for. No two PA Furnace shows are the same, but always deliver a healthy dose of songcraft, vocal harmony and stellar improvisation. Jessica Malone, award winning singer - songwriter, was raised in the tall mountains of far northern California. She is known for her powerful and soothing vocals and unique songwriting style. On her debut full length album "Miles Left to Walk", guitar, ukulele, violin, upright bass, trumpet, Hammond organ and drums all accompany Jessica's soulful vocals to create a one of a kind sound that blends a raw rootsy Americana with elements of folk, rock, jazz and pop. Her songs evoke a sense of wanderlust, self discovery, positivity and moving forward. Her raw unfiltered approach to songwriting creates music that will take you back in time, while her heart felt lyrics keep you rooted in the present. Club Members, let's celebrate a beautiful summer afternoon Spanish style while you pick up your August wine club shipment! Live music by Adal Lieb and Spanish guitar! Close your eyes and let the music of La Guinguette transport you into the heart of Paris, or perhaps a small town or village in southern Italy. Enchanting melodies made famous by the likes of Edith Piaf, Fabrizio De André, Lucienne Delyle, and Jacques Brel are woven into an embroidery of accordion, guitar, and vocals, performed in the original French and Italian languages. During the 18th century a French revolution began and the thriving culture of Paris spread into smaller towns and villages beyond the city limits where alcohol was considerably less expensive, due to the fact it was not taxed! It was here that establishments known as “guinguettes” began to open along the banks of the Seine and the Marne rivers. The Dream Farmers home town is Sebastopol , Ca. They are a close knit group of musicians who have a fresh California sound effected by rural and urban life styles , the immense natural beauty of their surroundings, institutions of higher learning, travel and a solid skill in their art gained from years of experience playing many types of music. 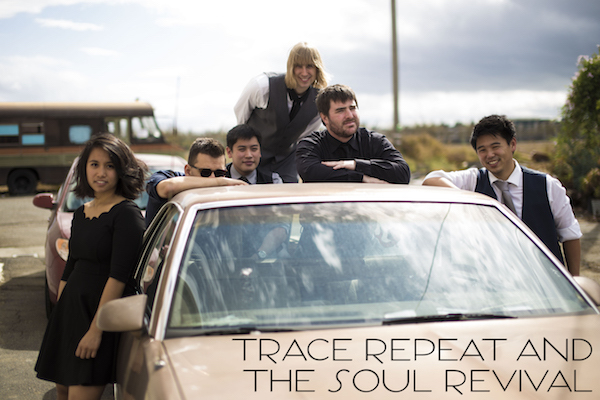 They are influenced by: blues, soul, R&B, Jazz, Funk, English invasion, and ethnic music from around the planet . Not just the sonic , but also the life styles, dance, art and cultural components as well. Being able to have had personal contact with amazing first line innovators like Jr. Wells, Johnny Otis, Nick Gravenites , Buddy Guy, Roy Rogers and others who took time to tutor has been a real gift of influence. The love of all black roots music informs their sound and adds to the funk factor. Le Hot Club Swing" is a Gyspy Jazz, Manouche/Swing band in the style of the Hot Club of France from the 1930's and 1940's. Le Hot Club Swing will be performing as a five piece ensemble this evening featuring, Tom Talley on the Violin, Rick Fulkerson and Jeremy Ginsberg on Guitar, John Potter on the upright Bass and special guest Jazz vocalist, Melissa Fulkerson. 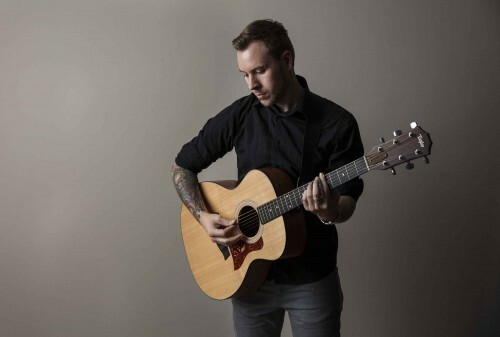 We are excited to be hosting Indie alt-rock singer/songwriter and acoustic guitar player, Anthony Presti. Anthony's style has influences ranging from legends like Neil Young, Roy Orbison, the Beatles and the Band, as well as some grunge rock and contemporary artists like Blind Pilot and The Avett Brothers. Presti is not only influenced by music, but his past, his surroundings and his travels, as he’s backpacked Europe and Asia, adventures that have greatly shaped his life. 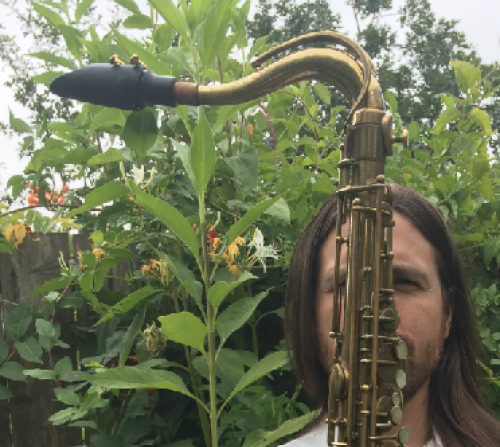 This small ensemble will be bringing tasteful renditions of jazz standards from the likes of Sonny Rollins, John Coltrane, and Antonio Carlos Jobim. 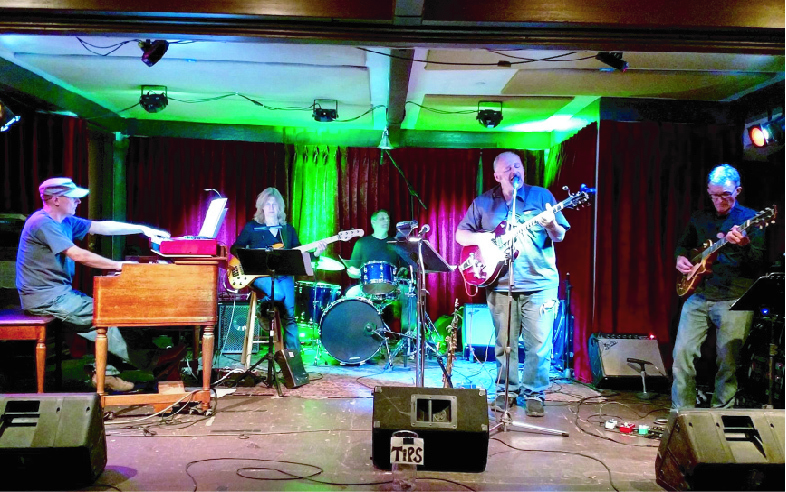 The quartet is comprised of North Bay musicians Neil Cormia on piano, Jan Martinelli on bass, Richard Andrews on drums, and Jeff Pierce on tenor saxophone. If you like jazz with your wine, this is the night to come out! Born in Durham, N.C., United States Rock Soul and Roll, blues-soaked guitarist/vocalist/song-writer Ricky Ray sings and plays with the energy and soul of all the great Southern musicians who have come before him. 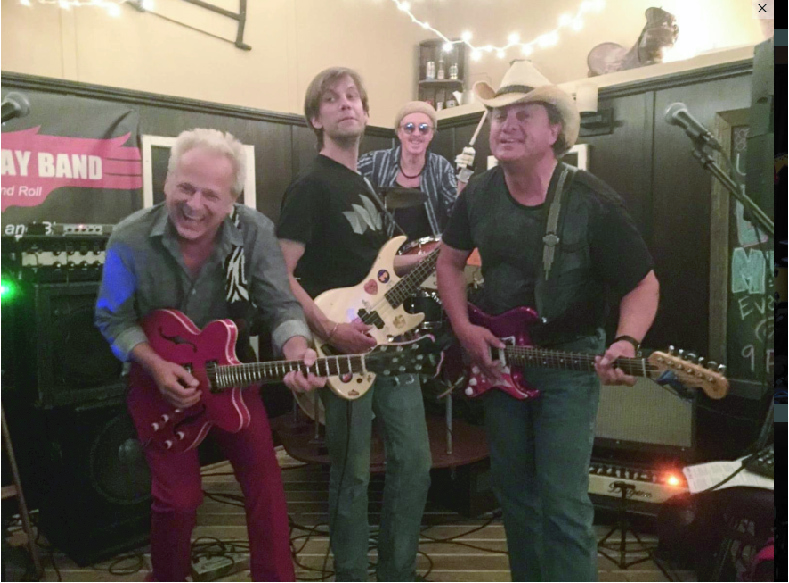 Ricky Ray attacks his music with rock power and blues feeling, following in the tradition of Deep South musical heroes Duane Allman, Freddie King, Derek Trucks and Warren Haynes. His live shows feature extended grooving dance songs filled with melodic and rhythmic experimentation. The Carolina Blues Magazine declared Ricky Ray "the most significant blues artist to emerge from N.C. since Willy Johnson." His stellar guitar work, always a staple of his live shows, is matched by his strong and powerful, soulful vocals. Club Members, you are invited to join us for an autumn inspired amuse bouche pairing with our newest releases while you pick up your November wine club shipment! A Fall inspired amuse bouche pairing of our newest releases! Smoke & Mirrors is a 5 piece Electrica, Acoustic & Percussion band with a deep bench of musicians to fit the wide range of genre's we cover, accenting harmonies ! We cover Doo-wop, R & B, Rock, Country, and folk all with a lil twist ! We cover artist like Isly Bro., The Belmonts, Beatles, Eagles, Del Shannon, Stones, CSNY, CCR, Ricky Nelson, Romantics, Marshal Tucker, Lynerd Skynerd, Doobie Bros,, Otis Redding, Kenny Chesney, Paul Simon, The BG's, and many more ! As of late we have been doubling our crowds all over Sonoma County! 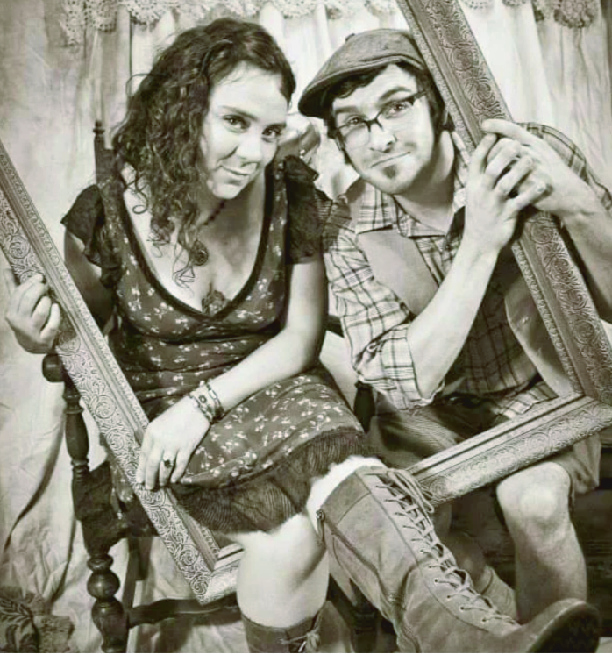 Tumbleweed Soul is an American roots project based in the SF North Bay, led by Dusty Specks and Wild Iris (aka Adam Walsh and Stephanie Salva). The pair have been rocking the West Coast music scene in various projects for over a decade, best known for their joint role in the beloved SF North Bay band the Jug Dealers. From their humble beginnings as an old time jug band, their sound quickly evolved into a larger tour de force, ultimately propelling them into the limelight with such acts as 7 Walkers, Ivan Neville’s Dumpsta Funk, Eric McFaddon, Steve Kimock, Beats Antique, Alex Grey, Joe Craven, Everyone Orchestra, George Porter, JGB, and many others. 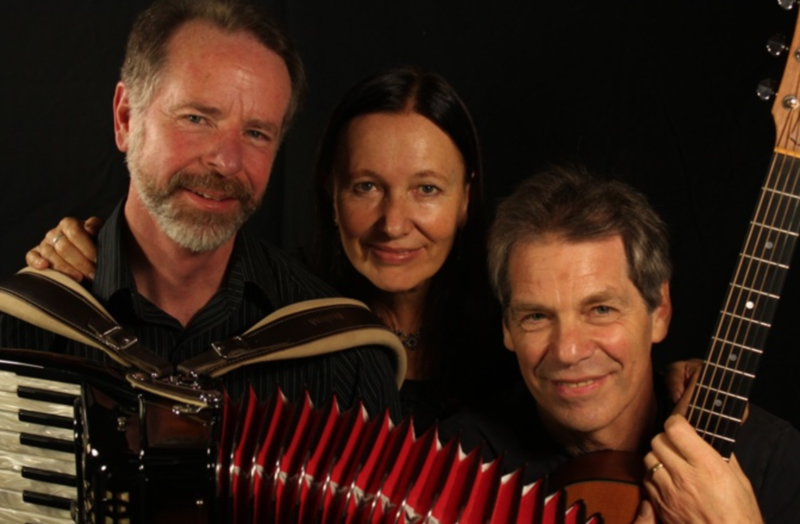 Brother and sister duo, Gabe and Mimi Pirard are long time members and founders of a local French Gypsy Flamenco band Dgiin, whose music has created quite a stir with it’s memorable and energetic performances. Originally from France and influenced by various styles of music such as Edith Piaf, Paco de Lucia and Django Reinhardt, the duo performs a variety of original songs mixed in to more traditional and folkloric tunes performed “a la Dgiin”. 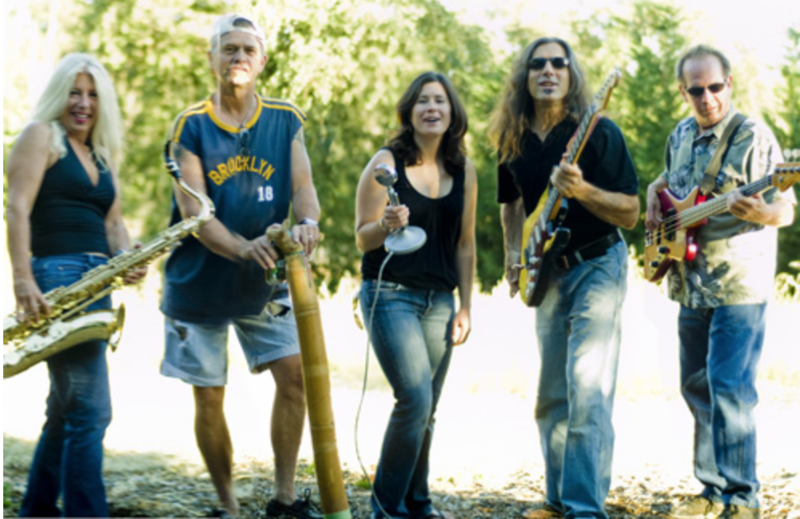 To get a feel for their style, check out SonoMusette, another band that Mimi performs with.